Happy holiday to those who celebrate Muslim holiday eid -fitr, Happy Eid mubarack and have a great one with lovely family, friends and great foods. These are simply beautiful cookies. 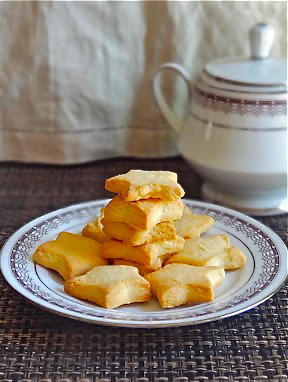 Simple and lovely crispy cookies Man. Will keep the recipe aside and pick up my guts to bake. This type of Thai soup is very popular in Thai cuisine around the world,is basically clear soup with prawn/shrimp and mushroom with rich Asian spices in it,such as galangal,lemon grass and kafir lime leaf and is spicy too which I like. But I will make this Tom Yum soup my own,I use seafood medley instead of prawn/shrimp,and thicker soup instead of clear. This roasted sweet potato and tomato soup can be prepare as dairy free soup, just skip the sour cream and replace with coconut milk. Serve with fresh store bought french baguette or toast. transfer all cut ingredients,garlic and chili into baking dish, sprinkle with olive oil and dry seasoning ( dry basil,red pepper flakes,black pepper and salt ) mix really well. and cook for another 3-5minutes,serve immediately is best.